Many new parents love to have their newborn babies photographed to capture those first few weeks of life. After all, they are precious, and you will never get them back. So much thought goes into having just the right outfits, colors, and settings. One thing to keep in mind is that you don’t have to go with the stereotypical pink for girls and blue for boys. This newer generation of parents are daring to be bold. Using colors like: black, gold, and purple, newborn photography is becoming more colorful and expressive than ever before. 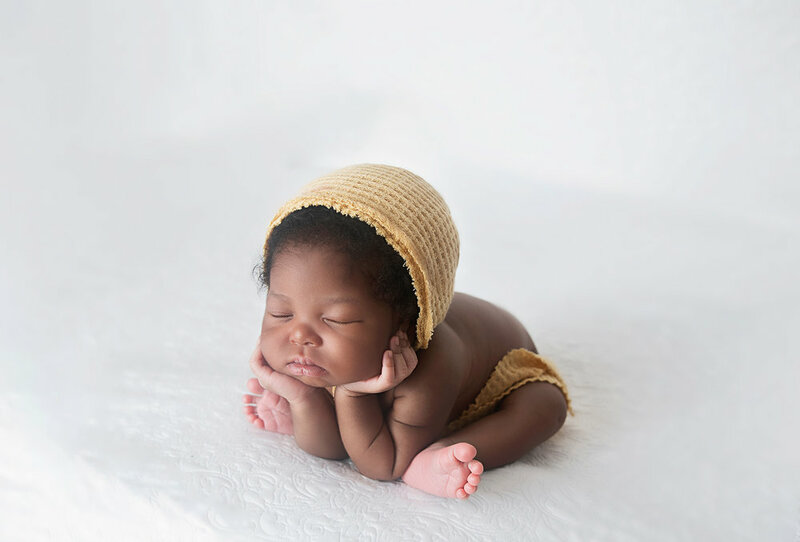 Baby Abiola came in for her first photo session at 9 days old, as most of my newborn clients are less than two weeks of age. 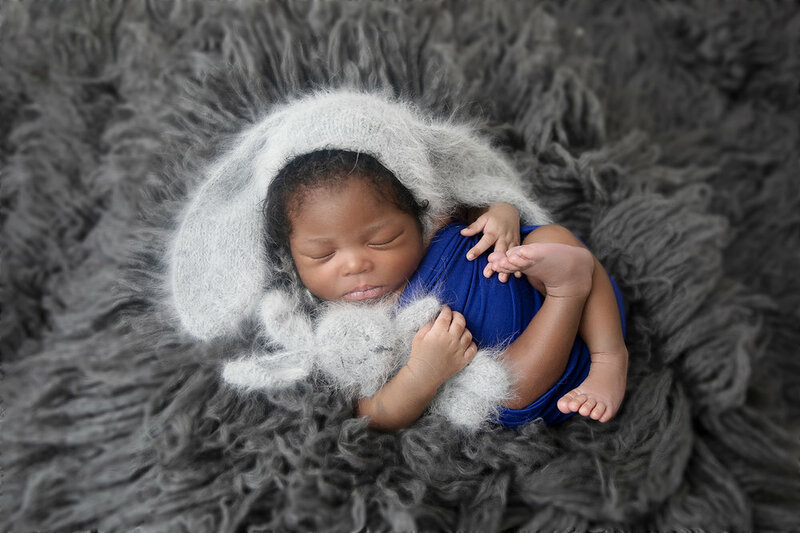 This is the ideal age to capture a newborn, as they sleep and are mostly easily posed. She was a precious, newborn girl, who looked like a baby doll. Mom wanted hers and baby’s dad’s sorority and fraternity colors represented in their newborn’s pictures. Mom really loved the color purple, while her sorority house colors were royal blue and gold. Dad’s house colors were black and gold. While blues, blacks, and golds are not traditionally feminine colors, I was very excited to get this shoot underway and even special ordered a black dress just for Abiola’s shoot. The results were wonderful. Even using a black dress, Abiola’s innocence and beauty shined through. The keepsakes that her parents received of their newborn daughter will be forever treasured. Using colors that are not traditional is the newest fad and it’s more fun too. When you break away from just a pink or blue, the world of new shades and hues opens. Sapphire, azure, cobalt and fuchsia, burgundy, and magenta, can be wonderful colors to use in baby girl photo shoots and still be very feminine and attractive. When choosing colors for your newborn baby’s first photos, don’t be afraid to shy away from the traditional baby pinks and baby boys. Going for bolder shades of pinks, purples, blues, and reds can make for brilliant color choices and even more beautiful keepsake pictures.